Happy New Year! 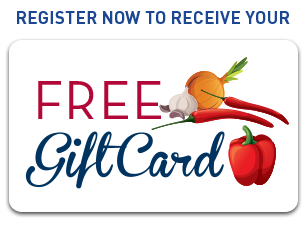 Celebrate with our delicious chili recipe and receive a FREE gift card to a food market near you, compliments of Penn Medicine. Please complete the form to receive your gift card, which can be used towards the purchase of ingredients for our secret chili recipe. Did you know Penn Medicine is in your neighborhood? Would you like Penn Medicine to contact you to help you find a physician? I am 21 years of age or older and I have read and agree to the Official Terms & Conditions of this Sweepstakes.